Hitachi CP-AW3005EF with the brightness of 3300 lumens & having the resolution of 1024x 768 XGA ultra short throw projector is well capable of creating an impact on entertainment & business presentation. The contrast ratio of 10,000: 1 for 70 inches image on the screen can provide enough clarity & visibility from distance of 53 cm. The lens having 1.35 zoom with powered focus consuming only 250 watts. 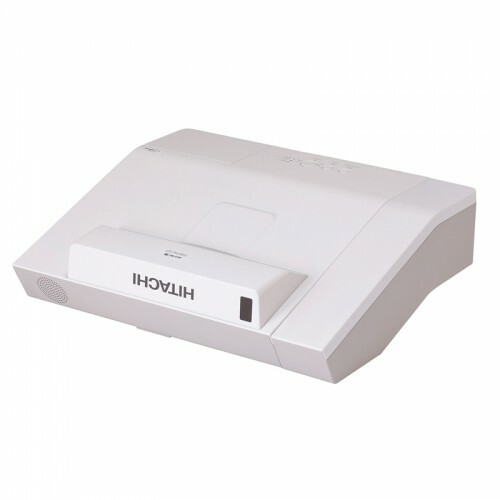 This well reputed brand with accentualizer technology & image optimizer ensures greater connectivity with HDMI, RJ-45, USB Type A & B, Audio in & out for compatibility. This white colored affordable device has a great portability with the weight of 4.3 kg. Enjoy this bright and high-quality images with intelligent eco and saver mode, suitable for limited space in home or office with 01 year of warranty facility. Star Tech offers the best deals in Chattagram, Dhaka, Rangpur, Sylhet & Rajshahi for Hitachi projectors. Order this compact size projector online and have the delivery at your convenience inside Bangladesh.